Zanzibar, similar to Mandalay or Timbuktu, has always sounded like a place that doesn't actually exist. In my mind, they are fictional places that a Bond villain commit his crimes in, or cities that are now underwater. We had three weeks to spend there which seemed like a long time, but I don't think we could have imagined how much we were going to love it. 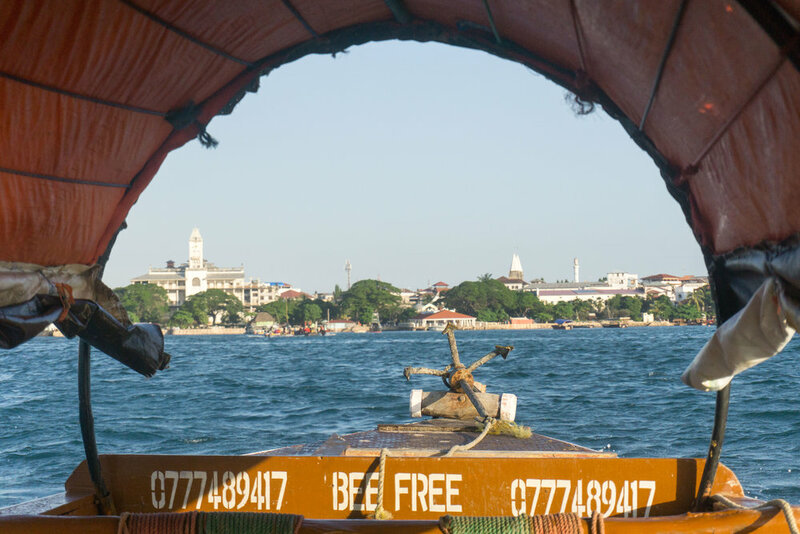 We opted to fly into Zanzibar as the first point in our travels around Tanzania (flight review here), but you can also take a ferry from Dar Es Salaam. 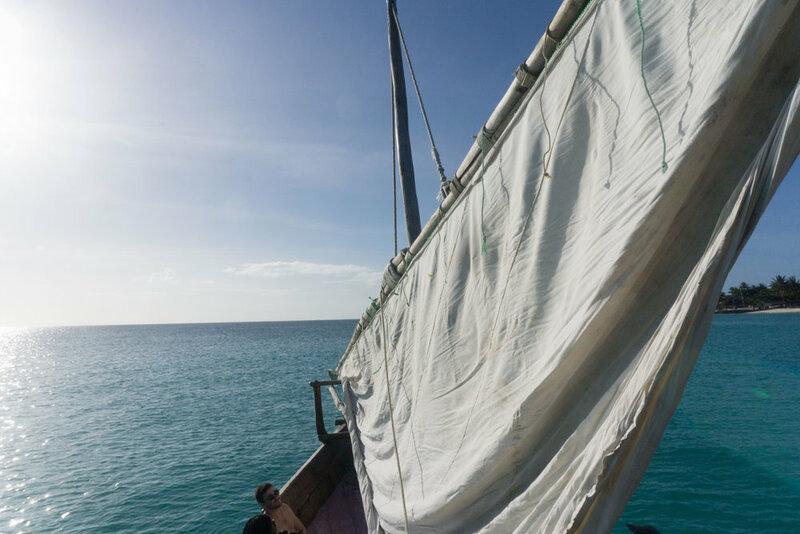 We split our time in Zanzibar between Stone Town and the northern beach village of Nungwi in order to experience both the main port city and the more authentic village life. Most people spend a day or two in Stone Town before heading off to the beach, but we decided to stick around for a week. Luckily, we were staying at the beautiful Park Hyatt Zanzibar, which is an experience on it's own - a historic heritage building, beautiful beach views, a private library room and a pool that you could while away an entire blazing island day beside. 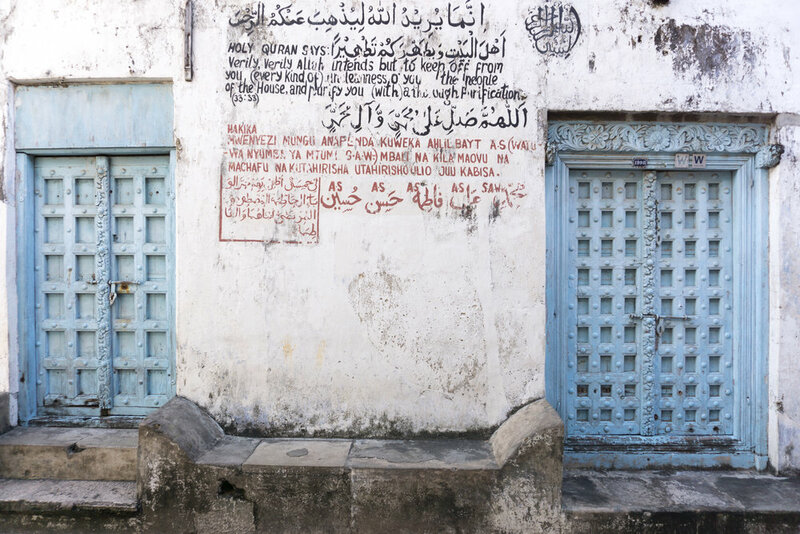 As you enter the historic district of Zanzibar City, called Stone Town, you are transported back to the colonial era. 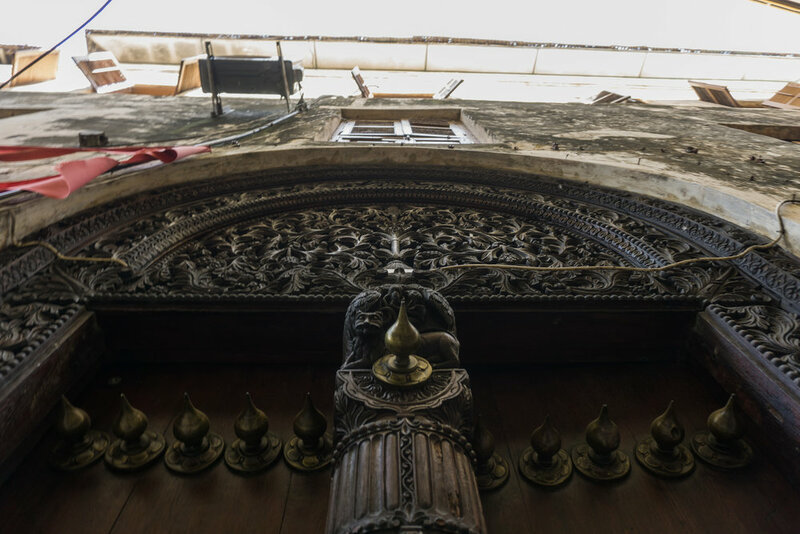 The island's complicated history of colonialism comes alive in it's architecture, which is a mix of Omani, African, British, German and Indian designs. Though small, the island had great political significance due to it's port. It was both an integral part of the Spice Route and one of the largest slave markets in the world, making it a cultural melting pot in its heyday. All the buildings in the town are made with coral rock from the sea, topped with thatched roofs. Each building has an intricately designed wooden door that tells a story about the people who live in the house. There are fishes, jasmine flowers, oak trees, snakes and many other carvings which all mean different things to different communities. Flowers along the top of the door tell you the number of residents, with a half closed bud representing a child or baby. The Muslim homes don't consider the front room 'private' so these remain exposed to the street, another indicator of who lived in the house. 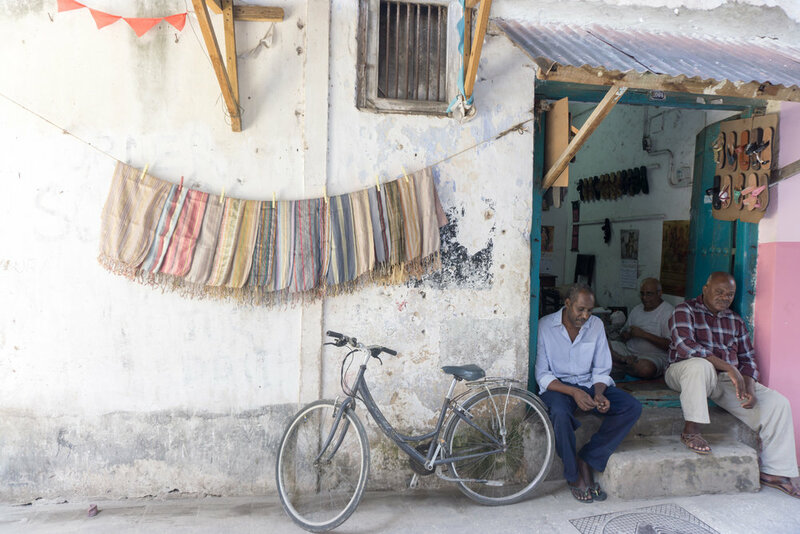 The architecture in Stone Town is a confluence of the people who used to live there. Local building materials, Omani windows, Indian doors, Persian carvings. There is even a small part of town that was built by Japanese immigrants with smaller doors and windows. Zanzibaris are one with the sea. The ocean is integral to life there. At the docks, you see locals doing all sorts of tricks jumping in the ocean, fisherman wading into the sea to catch fish with spears or their bare hands, captains taking their dhows out across the ocean. 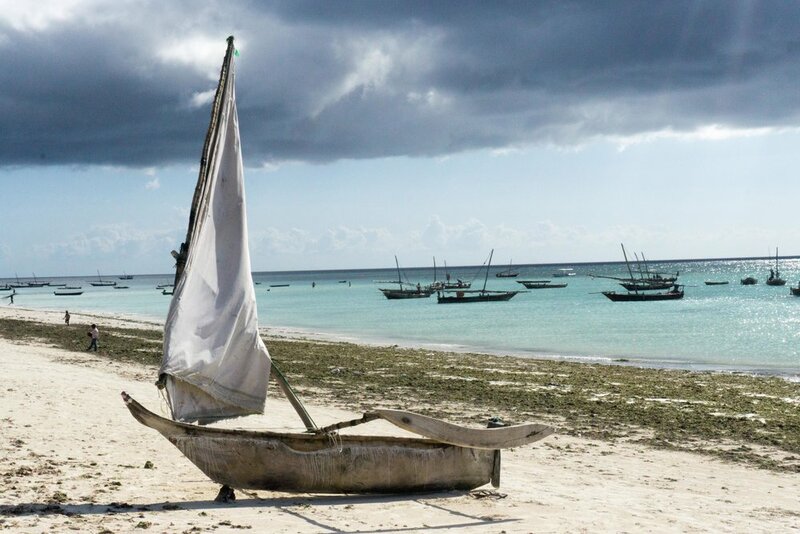 There are seaside cities like Miami or Sydney that make the ocean feel like a beautiful ornament, but in Zanzibar, the sea is part of the how they work, eat and play. Seafood is the main feature on all menus, and the port remains important to the spice trade. The days were quite lazy, with minimal activity in the streets due to the extreme heat and the fact we were there during Ramadan. During the evening however, the city lights up. There were kids playing soccer on the streets, food vendors selling samosas, falafels and other fritters and all the stores are wide open. Forodhani Gardens, a park near the sea in Stone Town is packed with street food, the most popular dish being a Zanzibari Pizza. I prefer a classic Margherita, or pizza generally without ketchup, but it's definitely worth a try. The Indian food around town is also really good, we liked a place called The Silk Route, though two must-visits are the Tea House and Lukamaan. There are two Tea House restaurants above both Emerson Hotels. We visited the one at the Emerson Hurumzi Hotel because it was slightly cheaper, and were super happy with the experience. Do make reservations before you go. 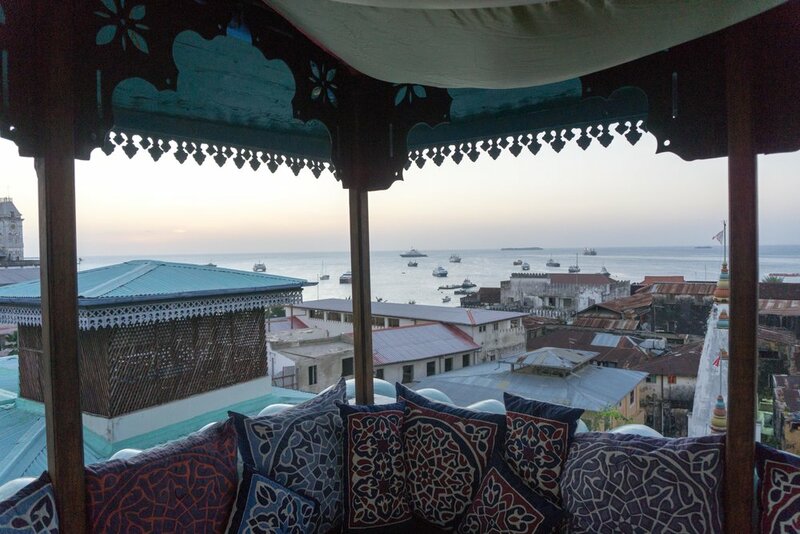 They serve a set menu of local Zanzibari Cuisine on a beautiful rooftop overlooking the Stone Town and the sea. It is the perfect place to sip on a cocktail, watch the sunset and dine while sitting on the ground in typical Omani fashion and they make sure to share the history and culture while serving you, making the entire evening a wonderful experience. Great service at the Tea House! Lukamaan on the other hand is a local spot, serving all sorts of biriyanis, curries, fish dishes and whatever else you can figure out they're cooking. During Ramadan it is closed until sunset, when it gets absolutely rammed. We luckily befriended one of the hotel employees who took us and suggested the fish biriyani which was great. There are plenty of tables to sit at for guests and a bar making fresh juices. If you can't finish your food, one of the many local cats will be hovering around you ready to pounce. Nungwi is a small village on the northern part of the Island. The beaches are absolutely stunning with powdery white sand and calm turquoise waters. The tide comes in during the evening, and by night time much of the beach you were lounging on disappears into the ocean. There is one stretch of the beach where locals build Dhows (local sailboats), which is really interesting to watch. There are few restaurants dotted along the beach, though we didn't find anywhere particularly delicious or unique. If you are looking for somewhere to unwind and do absolutely nothing but grab a drink and chill by the beach, Nungwi is perfect. One day, we headed over to Kendwa which is home to Kendwa Rocks that throws the local "Full Moon Party." We missed the party due to it being Ramadan, but we did like the vibe of this particular beach. The water was just as beautiful as Nungwi, there were a lot of water sports, a few cool bars and plenty of free loungers. Outside of the hotel, there were a few restaurants, stores and other hotels. If we had to re-do it, we'd probably stay in Kendwa because of the chill vibe and the proximity to bars and restaurants.